I'm always delighted to feature someone new on Nubian Narratives as I believe every story has a message, and can be accessible to someone here or there. It's pretty much the basis of my blog, after all. 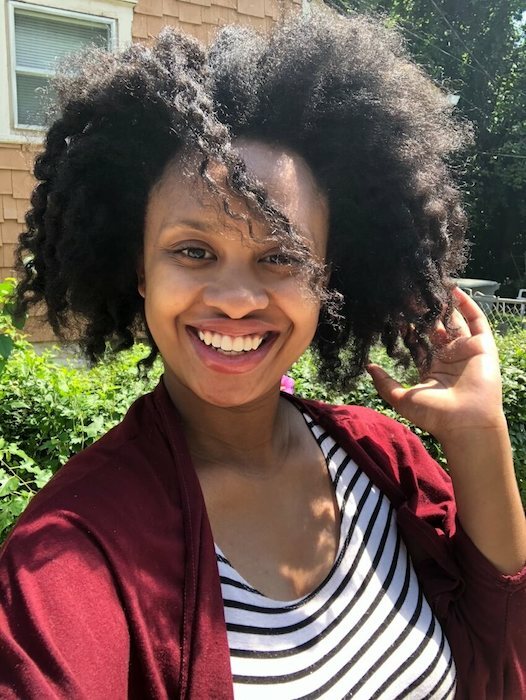 In this round of Nubian Narratives, we've got Tiffany Garside, a blogger who was eager to share her narrative on her career transition (much of which I can relate to, personally), what it means to be a writer, and coming into herself as a woman and an entrepreneur. Do enjoy! Hi Tiffany! Welcome to Nubian Narratives. Can you tell us a bit about who you are? Tiffany: Hi! I’m a wife, mother, writer, blogger, reader, and travel enthusiast. Before becoming a writer I was actually in the healthcare field pursuing a degree in nursing. One day I realized I wasn’t happy. I was doing what my parents and everyone else thought I should be doing. So, I quit school and two weeks later started a blog. I’ve been writing ever since. I recently had a baby which is our third addition to the family. I love being a mommy; I love kids! At what point did you realize that nursing, your previously chosen path, wasn't for you and that writing would be a passion through which you could make a living? Tiffany: This is funny because I was actually studying for a test that was coming up. In the middle of my study session, I was like, "What am I doing?" "Why am I studying this?" Even though I thought I wanted to be a nurse ever since I was little, sometimes what you wanted and the woman or person you grow into are two totally different things. I realized I always had good grades in English and anything pertaining to reading or writing, so I thought I should pursue that as both a hobby and a career. The only jobs I’ve ever held have been in the nursing field so it was the only thing I knew and I wasn’t in love with it. Before writing even popped into my head, a few months after working at a Children’s Hospital, I asked myself if nursing was really what I wanted to do. I wasn’t happy and unfortunately, I didn't really like the work. I stayed for another few years and rejected my instincts to do something else. Nursing is very lucrative in busy cities in the US, but the problem was nursing is a job for those who truly love it. You can’t fake it or you’ll cost people their lives. I don’t want that burden. This is kind of a lofty question: how do you define being a writer? Tiffany: To me, a writer is anyone who writes. This could be poems, stories and anything else of that nature. Writers don't always have to be published or have a writing career and successful blog. If you write, you're a writer. Everyone starts somewhere. Writers are typically creative people and are often introverted in real life. Of course, writers are also pretty good with words and grammar. [However,] I think the ability to write [well] is something very special, and everyone doesn’t have the ability and passion. We’ve all heard the saying that people are products of their upbringings and environments. I’ve especially heard this expression used in relation to people of color, and more specifically in the United States. How are you a product of yours (or not)? Tiffany: My response will probably be one of the most unique ones you get with this question. I grew up in the suburbs, the city is called Bexley and it’s a “Jew-ish” community. Rich white families lived there and I grew up confused. I didn’t know if I was supposed to act black or white. My family was black, but my friends, teachers, and peers were white. So who was I supposed to hang out with? Who should I have felt most comfortable around? My hair was different than everyone’s so I always wanted to wear it “down” or straight. I wanted to wear the brands they wore and live the way they did. That was my goal when I was younger. To live in some huge house in an all-white neighborhood. Crazy right? I lived there pretty much my entire life (K-12). I met my now husband there and we were a group of the only black people. The school had approximately 15-20%, black people. There isn't much diversity at all. This upbringing actually made me extremely pro-black. I have to say, I would never put my kids in such a school. I want my kids to see people who look like them and who love them, instead of being afraid of them or feeling like they're better than my kids. Throughout this journey of life so far, what do you feel the most secure and confident about? Tiffany: Who I am. I didn’t know who I was for a while. I figured this out by really loving myself and my people. I love melanin people wherever they are in the world. I always look at videos of Africa and I love meeting various people. Nigerians, Cameroonians, Ghanaians, Ethiopians. I plan on visiting Ghana soon. My confidence comes from what I’ve learned of our history and finding out how amazing we are [as Africans]. Is there a mantra or guiding thought you live by? If so, could you share it with us? I love this bible verse because it helps me to remember the promise God gave to his people. The truth is that our people are scattered all over the Earth; you see melanin all throughout the Earth no matter what continent or country you travel to. It’s nice to be reminded that even when things don’t seem alright here or anywhere else, he hasn’t forgotten us. There are so many different wars, natural disasters, and just plain craziness happening. We all need a reminder of who we are from time to time. This verse is another reason I love to travel and meet people from other cultures, such as the Caribbean, Brazil, Argentina, and African countries. You could travel to South America, Ethiopia even Asian countries and find someone who looks like you. I think that’s pretty cool. One of your blog posts from this summer that I enjoyed was on celebrating small victories. What’s something you’re working towards these days that you’re excited about? Tiffany: Thanks! I have been working on my freelance writing business and a new children’s series. It’s called “Wake Up Jacob.” This book will help little melanin children in the four corners of the earth find out who they are. I've also been working on becoming a social media manager. As a work-from-home mom, this will help my income stream and it's an additional service I can offer for my clients. I think it's beautiful how you've taken inspiration from your own life and upbringing and plugged it into your current work. Thanks for being part of this series, Tiffany. Good luck on "Wake Up Jacob" and your future blogging/writing endeavors! To get in touch with Tiffany for writing services or to keep up with her blog, visit her website tiffygwrites.com. To all the delightful readers in the building, how are you a product of your environment (or not)?